“Fresh out of Manchester UK, ALFIE SKY started making sounds when he was barely in high school. While citing influence from artists like Aphex Twin, New Order, Kero Kero Bonito and with occasional instrumental collaborations with friends, he dispenses atmospheric, glitchy electronica, with dreamy off-the-cuff words. ALFIE’s live set turns the singer-songwriter archetype into a euphoric spectacle, using live sound manipulation, evolving electronics and hypnotic visuals. Since a shy teenager, he has rocked up at countless venues around his hometown, and after his debut singles including SLOW dropped in 2018, he is back on the road laptop-in-hand. Norwegian singer-songwriter SARA WOLFF recalls the understated vocals and minimalist arrangement of Crumb, the disarming whimsy of Feist, and the underlying darkness of Angel Olsen with her finely-crafted, lyrically-focused indie pop. Based in Liverpool, she has opened for artists such as Field Division and Bryde, and she was in the summer 2018 selected to be a part of Merseyrail Sound Station, an artist development programme by Merseyrail and Liverpool magazine Bido Lito!. 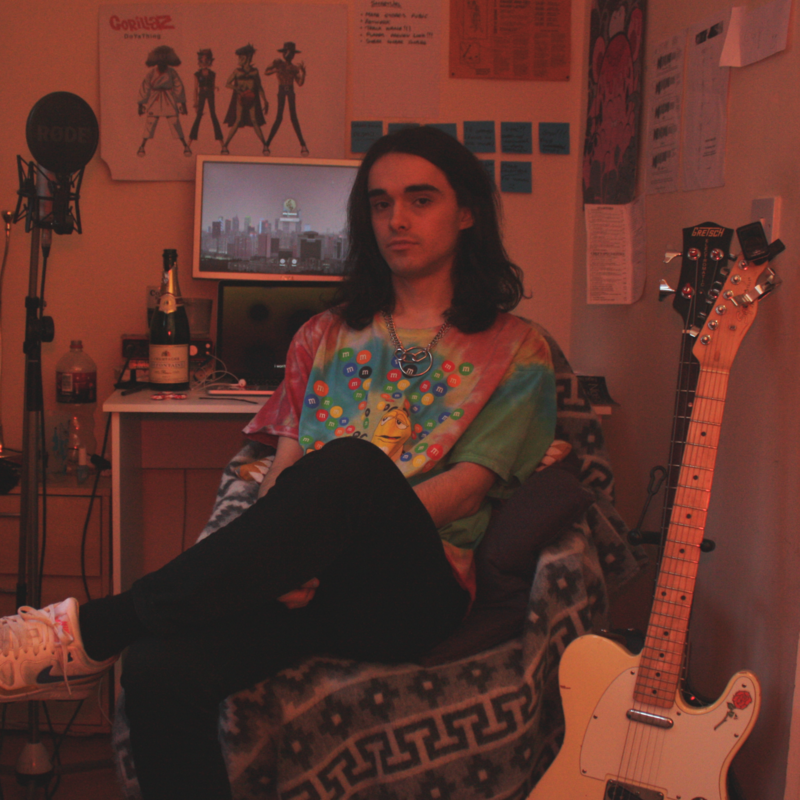 Heart-wrenching gloomcore straight from the heart of Leeds-based musician, Joey Donnelly. Lonely folk for lonely folk. FFO Phoebe Bridgers, Florist, staying in the bath so long it gets cold.